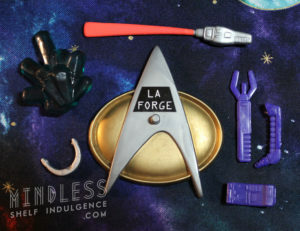 Includes purple accessories, aqua Dilithium Crystals, and a Starfleet base. 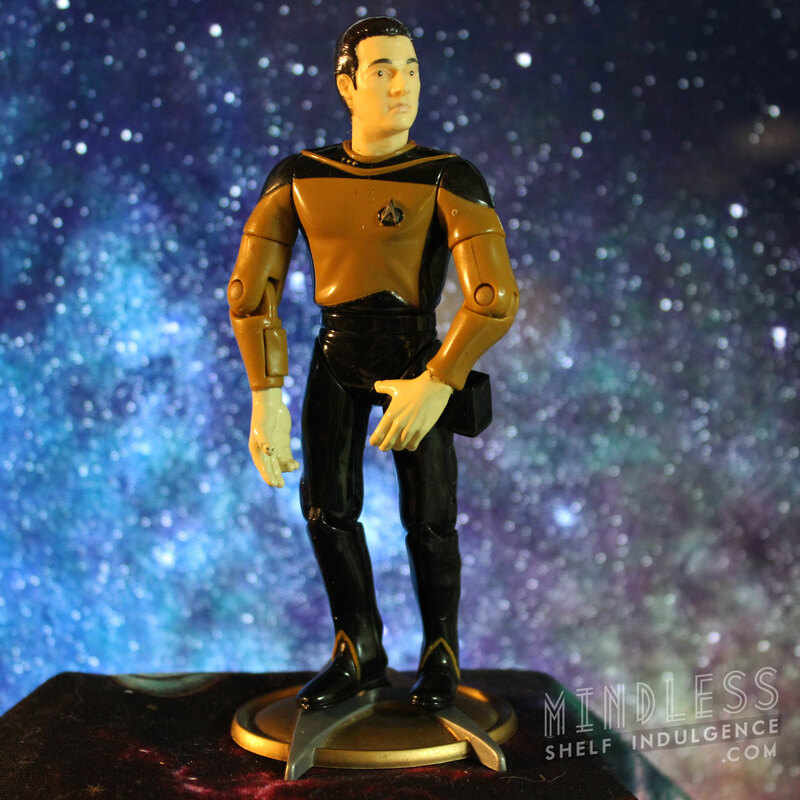 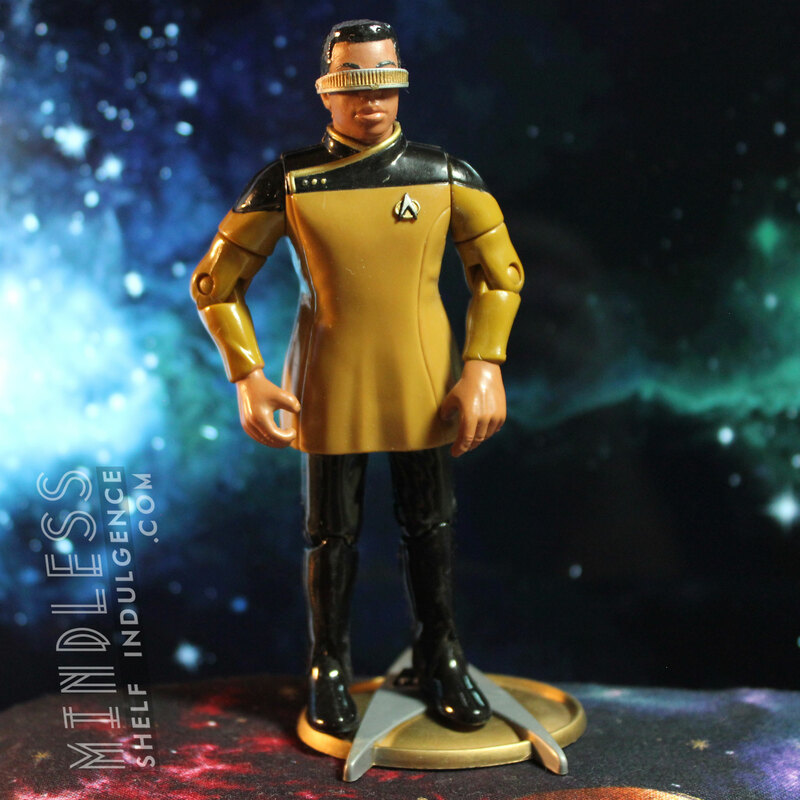 This image is missing a purple utility bag; an identical (but blue) version can be seen accompanying Geordi in First Season Uniform figure. 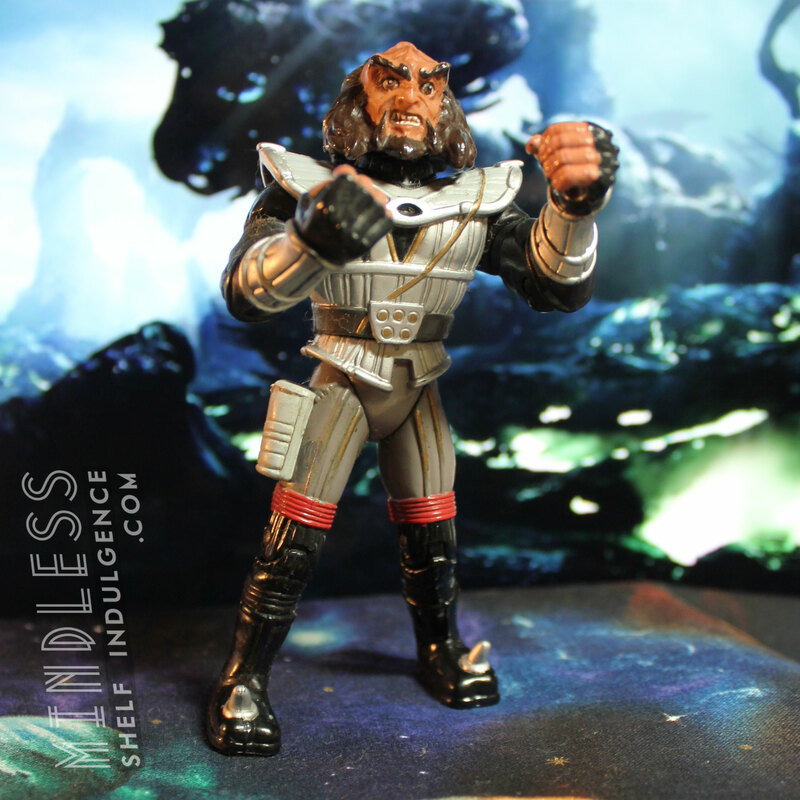 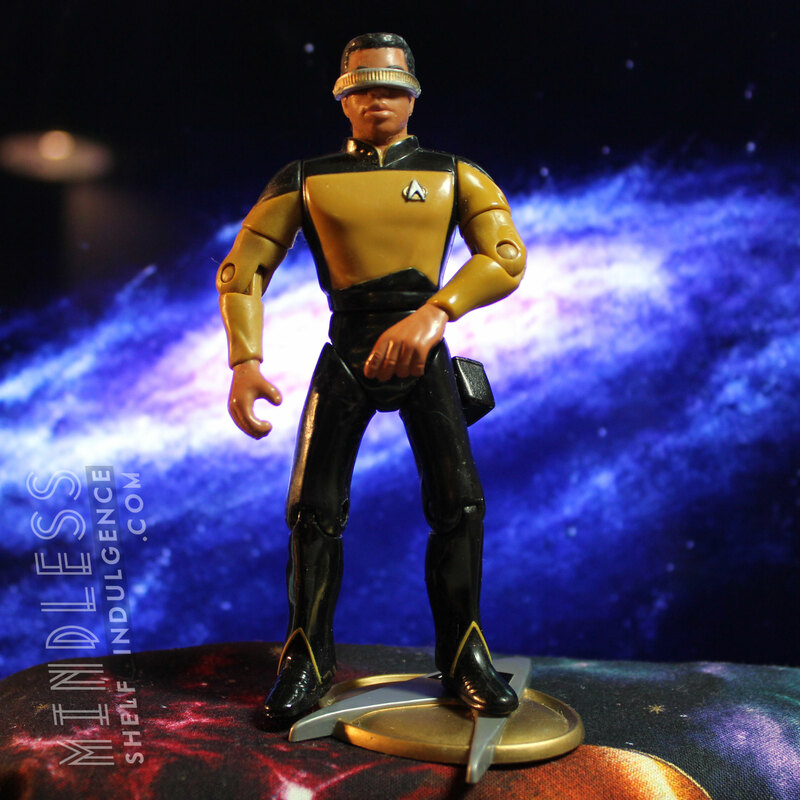 Early versions of Geordi came with a removable visor, but later ones had the visor glued on due to choking concerns.